Linux was designed based on Unix. As a consequence, a graphical user interface or GUI was not really at the forefront of its development and it was controlled mostly from a command line. To be a suitable operating system for desktops, a graphical user interface is quite essential. KDE (K Desktop Environment) and Gnome (GNU Network Object Model Environment) are two possible GUIs that can be used with Linux. KDE was developed first but its dependence on the Qt toolkit that was not under the GPL at that time concerned some of the people on the open source community. To address this problem, two projects were started, one aimed to replace the Qt toolkit while the second aimed to replace KDE altogether; Gnome is the latter. Gnome was built from scratch using the GTK+ toolkit which is fully under the GNU GPL. As time progressed, the Qt toolkit became GPL and the point thereafter became moot. But Gnome has gained such a following that it was no longer about the toolkit itself and the development continued. These two GUIs are not really coded into the Linux OS, they just operate on top of it. A distribution that has Gnome preloaded like Ubuntu can be reconfigured to be like Kubuntu which has KDE installed and vice versa. The differences in the two environments are mainly cosmetic and they do not have any major effect on how the operating system works. The choice between the two is often made depending on how comfortable the user is with the environment. Most users who are just beginning the transition to Linux are often discouraged when using KDE. 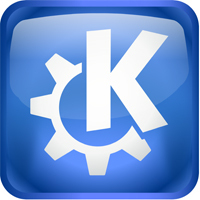 The complex and often confusing nature of KDE makes it hard to adapt to. Gnome keeps everything very simple in order to minimize confusion. This might be great for those that are just beginning with Linux but advanced users feel that the environment is too restrictive. Ben Joan. "Difference Between KDE and GNome." DifferenceBetween.net. December 25, 2010 < http://www.differencebetween.net/object/difference-between-kde-and-gnome/ >.